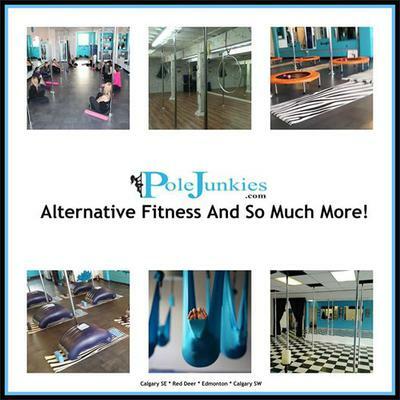 PoleJunkies Calgary SW is an Alternative Fitness Studio, specializing in Pole and Aerial Programs and Parties for the Everyday person. Founded in 2004, PoleJunkies is proud to employ instructors who are certified by the following organizations: PFIC Canada, CanFit Pro, ACE, AerialCat, and AFLCA. Our instructors are fully insured and licensed, with a combined experience level exceeding 30 years.